After observing Matkasur, the dominant Tiger of Tadoba’s core zone , we moved deeper into the forest only to be stopped in our tracks by these tiny subjects. It was a small flock of Button Quails that were foraging along the side of the road. We were amazed to see how perfectly camouflaged they were to their habitat. A little further up, we spotted a pair of Asiatic Wild Dogs, also known as Dholes. They were resting in the shade. From their behaviour it was clear that this was the dominant pair of a pack. While we did not see the other members of the pack, these dogs were playing amongst themselves making for lovely photography subjects. 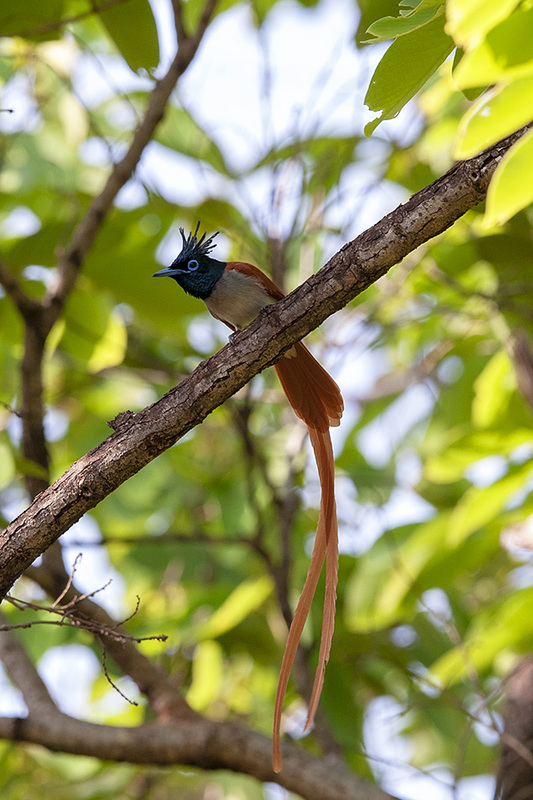 The highlight of this part of the safari was of course the nesting pair of Paradise Flycatcher. At first it was difficult to see the nest. 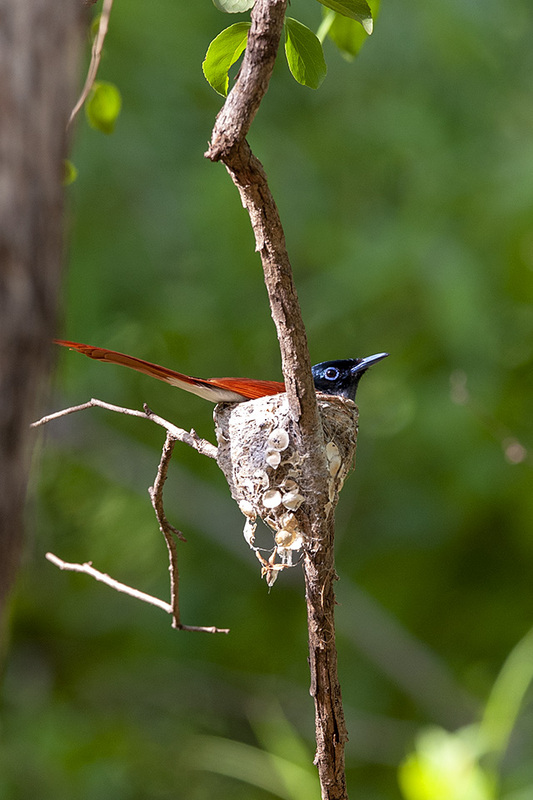 But our guide pointed out the nest to us and it wasn’t too long before the female Paradise Flycatcher came and perched on the nest incubating her eggs, while the male Paradise Flycatcher kept a close vigil from not far away.